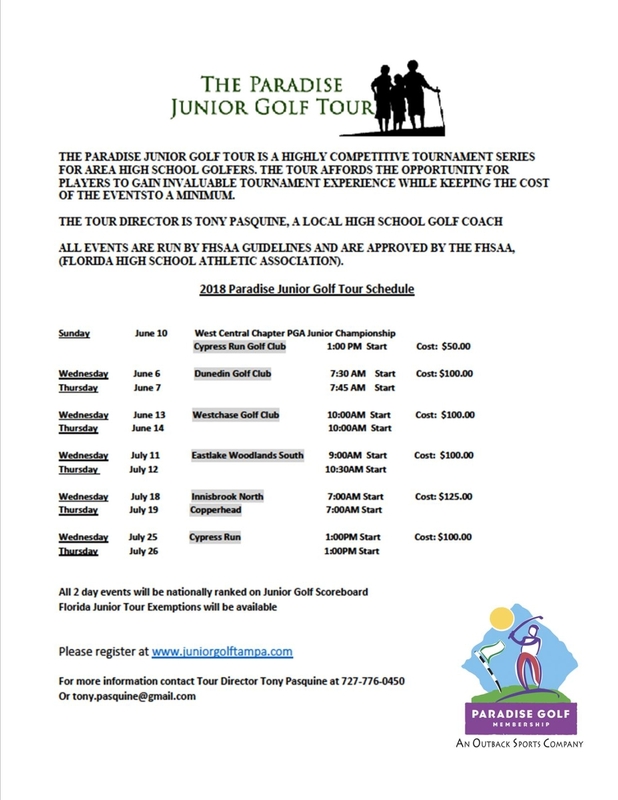 Paradise Golf is once again the main sponsor of the Junior Golf Tour of Tampa Bay. Tour organizer Tony Pasquine is excited to have Paradise Golf return as its sponsor. "Having Paradise Golf aboard has definitely allowed us to enhance and to improve everything about the Tour including special play opportunities and other top course relationships," Pasquine said.
" We have a fine summer schedule of 5 TWO DAY events to be played some of the premier courses in the area." Pasquine said. CLICK HERE to review and to print out the 2018 schedule.